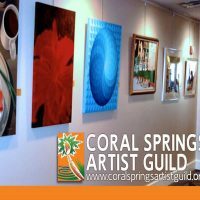 The Coral Springs Artist Guild is a volunteer staffed non-profit organization existing to foster, encourage, educate and develop interest in the fine arts in Broward County, Florida. Since its founding, the Guild sponsors several member exhibitions each year and juried competitions in the South Florida area, stimulating interest in the creation of art in various media of fine and applied arts. We are proud to sponsor an annual scholarship awards program for high school seniors in Broward County Schools in our area of Coral Springs, Parkland and Tamarac. 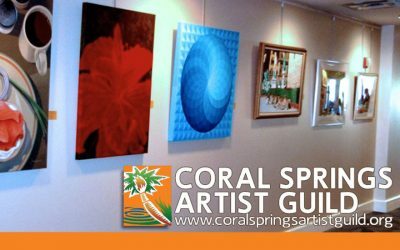 Monthly Meetings and Demonstrations are held on the first Thursday of each month at the 2nd Floor Studio of the Coral Springs Museum of Art. 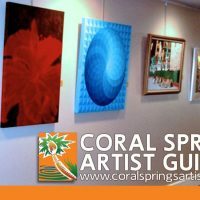 We also present our Annual October and February Lobby Art Shows at the Coral Springs Museum of Art, and we participate in the Annual Coral Springs Festival of the Arts in the Spring of each year. Membership is open to all interested artists regardless of where they reside. 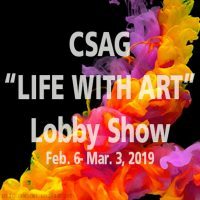 Coral Springs Artist Guild Oct Lobby Show 2018 at the Coral Springs Museum of Art.